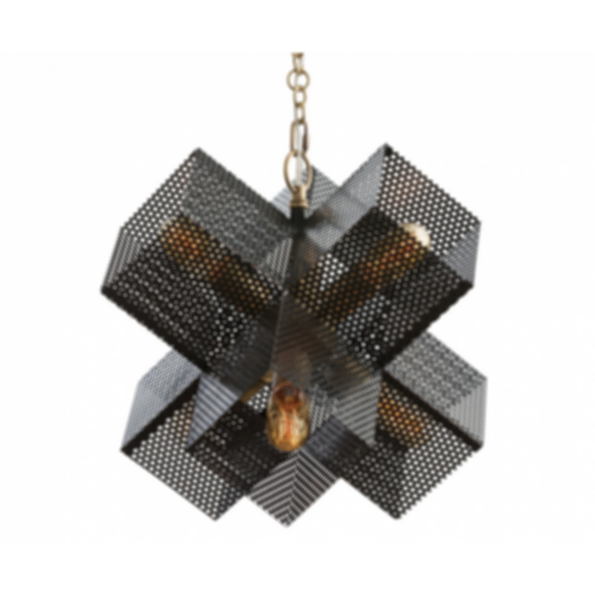 This six-light steel chandelier is perfectly playful. 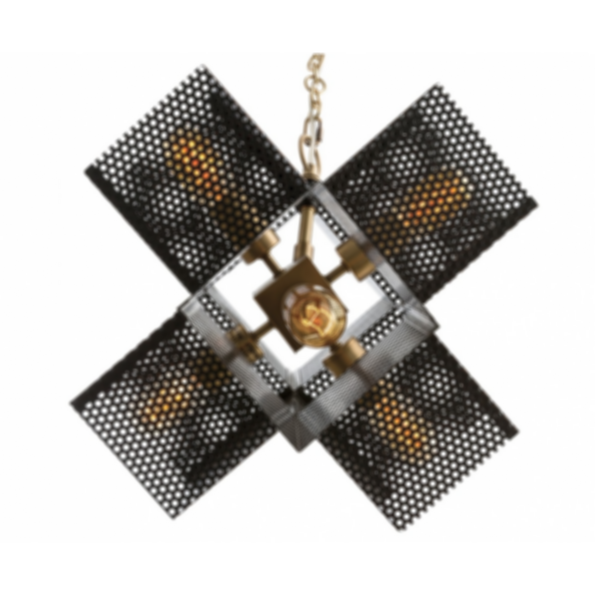 The perforated cubes take on a two-tone effect with alternating bronze and antique brass finishes. When lit, the piece looks like a tumbled dice. Additional chain available (CHN-120) Approved for use in covered outdoor areas. Combining timeless appeal and modern influence, Arteriors offers a sensational collection of accessories, lighting and accent furniture that exude a truly unique design aesthetic.